Apply for Registration Loans in Arizona or California! Happy Everything from Tio Rico! 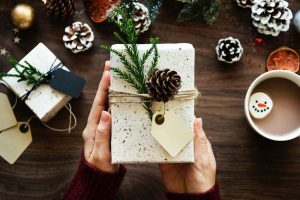 The holiday season is here and Tio Rico team are happy to give the gift of title and registration loans in Arizona and Southern California this year. We also hope you are excited for this wonderful holiday and the quality time you’re about to share with family and friends. Enjoy this time of year as a reflection of all you are thankful for and the past year that is coming to an end. Tio Rico has had another outstanding year and would like to thank you all! We consider our customers to be close friends and are thankful for each one of you and the experiences you share with us. The holiday season is a time to be enjoyed, not a time to worry about money and finances. We love our community and enjoy giving back to you with our programs that are available for everyone, no matter what financial standings may be. For any questions or if you’re interested in finding out if you are qualified for some extra cash, fill out the form to your right and a financial expert on registration loans in Arizona or Southern California will be in contact with you as soon as possible. Happy Holidays for the Tio Rico Team!